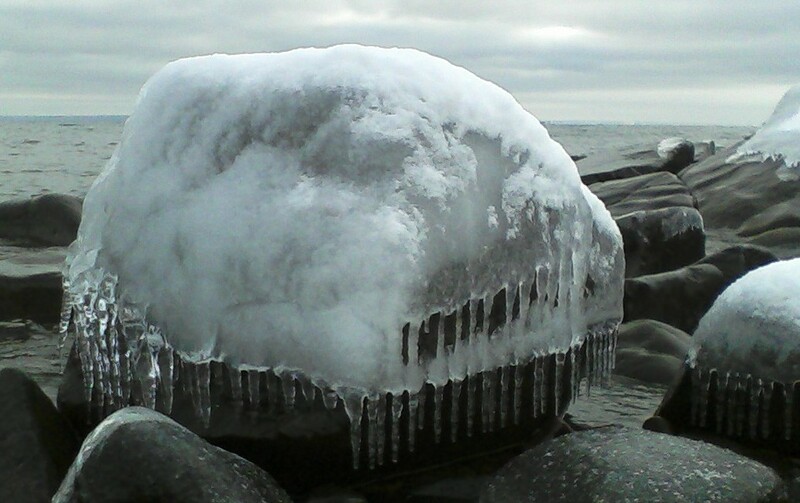 I met this ice jellyfish on the last day of the year. Does a person meet a jellyfish? Like meeting up with destiny or with a human body - a flowing, changeable thing in a temporarily solid state. Impermeable form the utter opposite of water: water frozen in a picture: water tensing every muscle: water doing winter yoga. In Finland, in summer, in sting, in cold forgetting.